The Primaris Repulsor is more than just a transport vehicle. Equipped with a devastating variety of weapons and a considerable motive power, thanks to the rear turbines, it does not only leave visual impressions on the enemies of the Primaris. Held aloft by anti-gravitic generators, it roars over the battlefields and crushes anything that gets in its way. 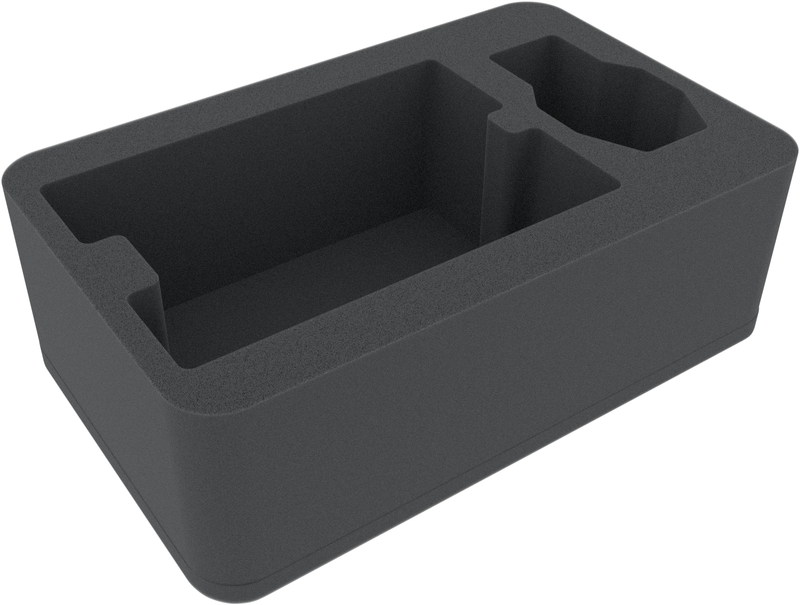 However, since even a massively armored transporter like the Repulsor has sensitive areas aside the war zones, we have designed this foam tray especially for your GW model. 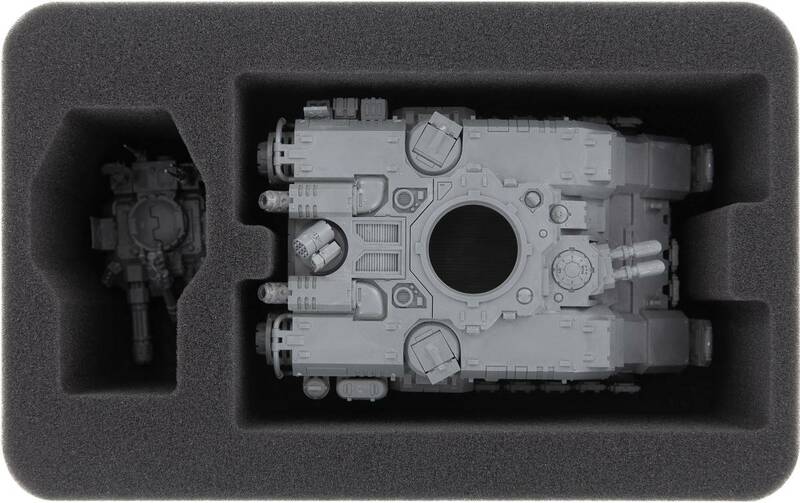 This Half-Size foam mat has a large compartment that has been tailored exactly to the dimensions of the Primaris Space Marines Repulsor. This ensures that its huge arsenal of weapons remains undamaged on the tank. The heavy onslaught gatling cannon on the turret and the twin heavy bolter on the front remain just as intact during transport as the radar arrays. The tray not only protects the sensitive parts of the Repulsor. Embedded in high-quality, soft foam, the colors of the painted miniature are also safe from abrasion and flaking. 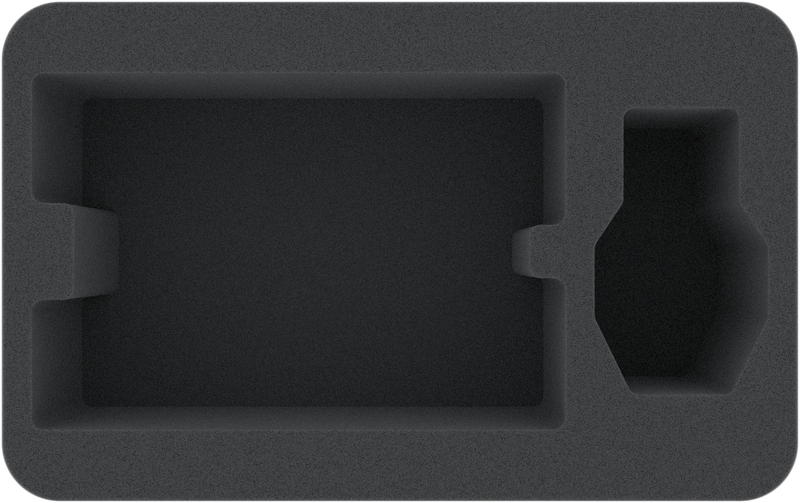 The foam tray has the dimensions: 275 mm x 172 mm x 90 mm total height (80 mm usable height + 10 mm foam base).